This was a two week project and utilized a simplistic design based on a concept by Alexander Thumler. 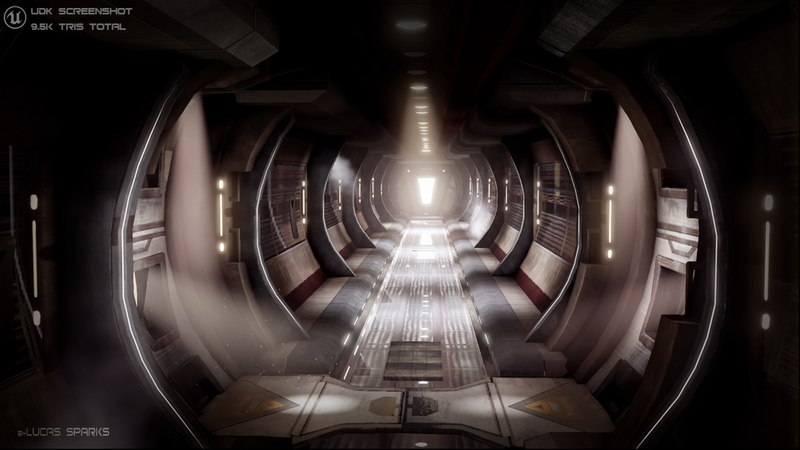 It is running real-time entirely in the UDK game-engine. The area was made with under 10k Tri's total and benefited from a modular setup and tileable textures, which also used Parallax mapping to give more depth (mainly the piping). 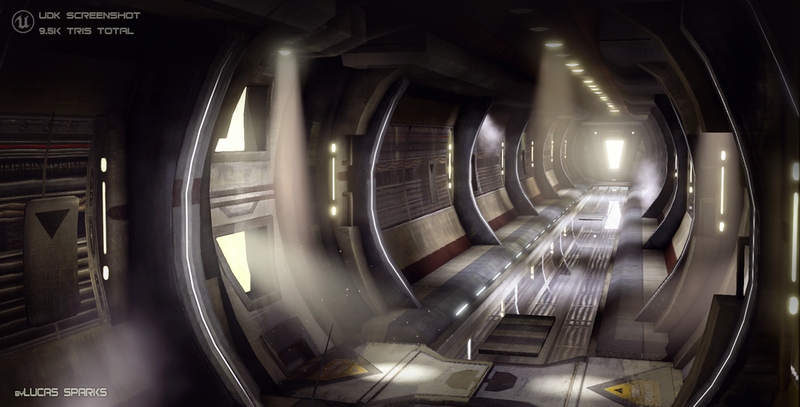 Most of the reflections are real-time, but some utilize cube mapping to allow for better optimization and the effects were achieved in the UDK Engine using cascade.